Texas will host the first statewide primaries of 2018 on March 6. 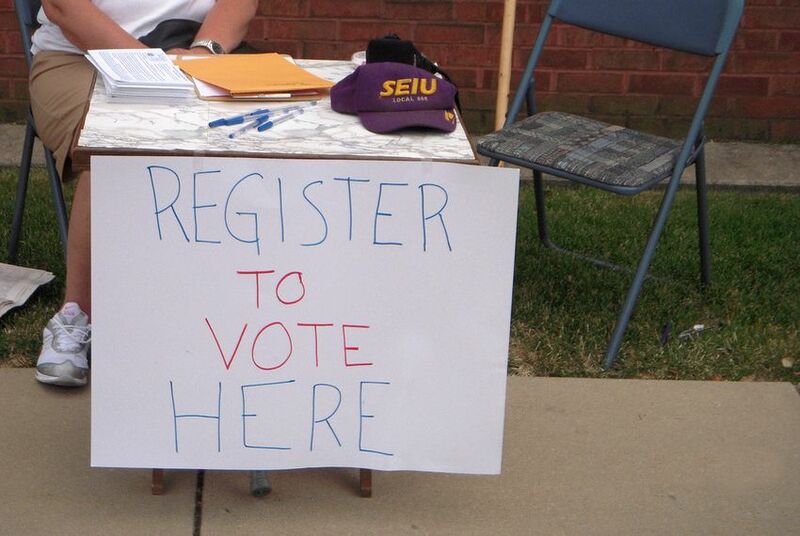 Unlike some other states, Texas doesn't allow voter registration on the day of an election. Editor's note: This story was originally published a week before the voter registration deadline. It has been updated to reflect that the Feb. 5 deadline is today. Texas will host the first statewide primaries of 2018 on March 6 and for Texans who want to take part, Monday, Feb. 5, is the deadline to register to vote. For both Democrats and Republicans, the race for U.S. Senate will be at the top of the ballot. U.S. Sen. Ted Cruz is vying against four other Republicans in his bid for re-election and U.S. Rep. Beto O'Rourke, D-El Paso, is the most well-known of three Democrats aiming to unseat him. Eight Texans in the U.S. House aren't running for re-election, which has led to some packed races to replace them, including 18 Republicans and four Democrats running for the seat U.S. Rep. Lamar Smith, R-San Antonio, has held for more than 30 years. And three Republicans running for re-election — U.S. Reps. John Culberson of Houston, Pete Sessions of Dallas and Will Hurd of Helotes — have emerged as top targets for Democrats in November, creating higher stakes in the Democratic primaries for those districts. At the state level, nine candidates are crowding the Democratic gubernatorial primary, with the highest-profile being former Dallas County Sheriff Lupe Valdez and Houston entrepreneur Andrew White, son of late Texas Gov. Mark White. And Republican Land Commissioner George P. Bush is facing three primary challengers including Jerry Patterson, who previously held the job. Lower on the ballot, all of the seats in the Texas House of Representatives and half of those in the Texas Senate are up for re-election. Voters need to submit their applications at least 30 days in advance of an election. Registering online isn't an option in Texas. To register, Texans can fill out an application in person at their county voter registrar’s office or pick up a copy at other locations including local libraries and most post offices and high schools. They can also print out the application online or request it through the mail. Voters must submit their registration to the county where they are a resident, according to the Texas Secretary of State’s website. Mailed applications must be postmarked before or on the Feb. 5 deadline. You can look up if you're already registered to vote at the Texas Secretary of State’s website. Early voting starts on Feb. 20.